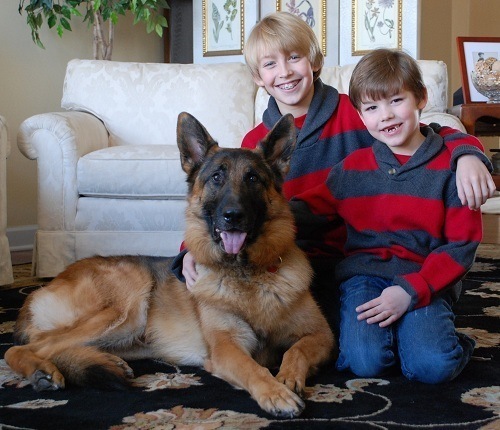 German Shepherds are strong and extremely loyal dogs. There is no doubt that this breed of dogs will stick by you through thick and thin. However, if you go overboard with its training, your GS will grow to become an aggressive dog. And trust me, you don’t want that. If you have bought a German Shepherd puppy, start training it in its initial days because GSDs can become very dominant if they don’t get the right coaching. 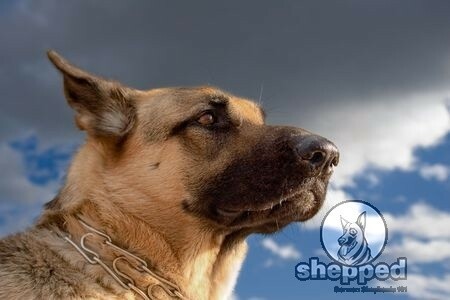 One more mistake that many GSD owners make is to treat their dogs harshly. GSDs are not like play dogs or the friendly breeds. Nature has made them tough and dominant. If you try to handle them aggressively, they’ll give it back to you. They also need to learn to behave with people. When you have a GSD at home, you wouldn’t want it to bite on the furniture, chew on toys, and much more. And with the help of proper obedience coaching, a GSD can be exactly how you want it to be, i.e. very harmonious. The best way you could train a GSD is by treating it in a sensible and positive way. Teaching your GSD to be obedient towards you and your orders is not an easy task. This type of coaching needs a lot of patience and consistency. If you lose your temper at any point during the process, you and your dog will both face a hard time. Many stressed GSD owners call training centers to get hold of their dog’s temper. What they fail to understand is that forcing their dog to learn and then getting aggressive when it doesn’t, is not the right way to do it. There are two parts in obedience training of a GSD, and one of them is imprinting and socializing. This type of training includes a certain type of tricks and commands. Remember, no matter which style you adopt, you will need to use hand and verbal actions. What is imprinting? When you treat your GSD pup furiously during its coaching, it is likely to grow up to become an aggressive dog. This is called imprinting, as the dog imprints the treatment it gets from the owner. What is Socializing? Socializing a GSD with people and other animals in its surrounding is a major part of its training. When you get a GSD, you will need to make it comfortable around others so that it doesn’t cause troubles in the future. On leash training and off the leash training – this means that your GSD should be able to walk at your pace and stop when you pull the leash. Leash training is essential as it allows you to have complete control over your dog. Alternate ways to appreciate and praise your dog include toys and pat on the back. Make sure your GDS is learning to retain all the information and commands. Do not make your GSD too dependent on treats as it will only follow the commands for a treat. Teach it to behave while bathing, ear cleaning, and nail cutting. Teach your dog to sleep in its kennel. Make use of the word ‘NO’ in the process so that your dog knows when it should stop. Make association of different words with actions so that it becomes easy for the dog to learn. Train your dog to play, bite, and chew on approved toys only. Teach your dog to behave inside the house and live by the house rules. Train your dog to chase you when you call its name. Teach your dog to walk up and down the stairs in a proper manner. In this part of the training process, you will need to teach your GSD to stay calm and listen to your commands promptly. GSDs are extremely energetic and tend to get excited easily. That’s why when you train them; they follow the commands in a hyper mode. To make them understand the meaning of each command and to induce patience in them, you will need to coach them differently. To teach your GSD some good manners and discipline, you will need to adopt a different strategy and set of instructions. Read on to a few tips to induce this type of behavior in your GSD. Tell your GSD to sit and stay for a couple of minutes. You will do this by introducing it to the ‘sit‘ and ‘stay’ command. Tell your dog to ‘sit’ and then say ‘stay.’ This stay should be for 2 – 4 minutes. This type of training will teach the dog to stay calm in different types of situations. Teach your dog to walk at a normal pace on a lose leash. Tell your dog to ‘stop’ when it shows odd behavior like excessive chewing and mouthing of objects. Train it to fetch without being too hyper. You may tell it to stay when it becomes overly excited. Tell your GSD to stop when it starts jumping on sofas and people. To make your GSD learn to behave in real situations, you will need to introduce distractions between training. This will help you get to know how well your dog is trained and can ignore the distractions when you command it to stay, stop, etc. Say a lot of ‘NO’ during the entire process. A GSD’s obedience training should start at 8 weeks of age. You will need to define the role of your dog in the family. Make sure you don’t drag the training session as it will frustrate the dog. Once you have taught your dog to be obedient, patient, and calm, you will know that your GSD is your lifelong partner and your best buddy. When trained properly, GSDs prove to be the best dog breed. 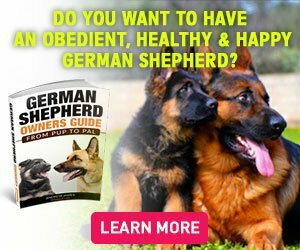 Want to find out more about a GSD’s obedience training? Sign up on our website!